Internet is like a big ocean. More deep you will go, more interesting things you will find. It's always been a fun for me to do experiments and case studies on social networking sites especially Facebook. One of interesting thing I found is Facebook Mentions. Many people have asked me about this feature. You may also find a story posted via Facebook Mentions. This will appear next to post time as shown in below picture. So do you know what it is actually? What features it offer? 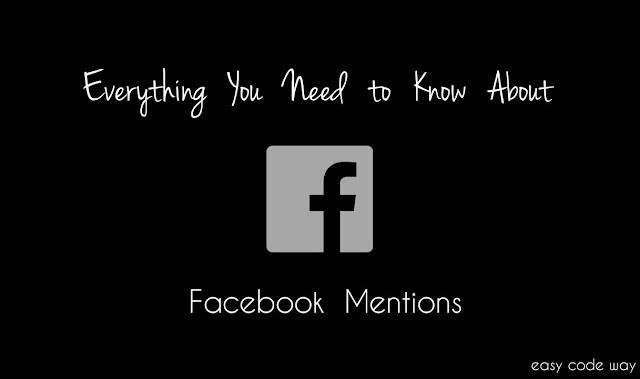 how to post via Facebook Mentions and few other questions related to it. If you're searching for these answers then you're at right place. This tutorial will explain you everything about this feature. Now lets start from basics. Facebook Mentions is nothing but an advanced app especially designed for verified accounts to manage their profile/page. This app is available on both Android and Apple platform. You can download it from Google play and Apple app store respectively. But Wait! Wait! Time to read above definition again. I had used a term "Verified" which here means official accounts only like public figures, musical bands, politicians, celebrities, singers, athletes etc., All official accounts have a blue color tick mark icon next to their page/profile name. 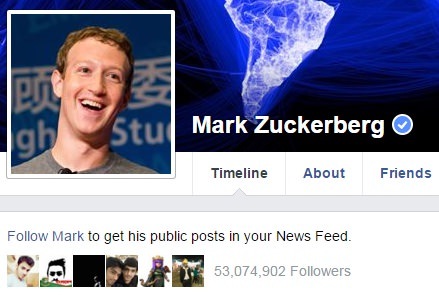 See below picture as an example of Mark Zuckerberg profile. So basically, verified account users can only use this Mentions app. If you're not one of them then this app is simply a waste for you as like it is for me and for other normal users. Many of you may be thinking that how this app is different from other Facebook apps or in other words, what feature it offer? Of course, there is a ground-sky difference between them and to explain this deeply, let's have a look at below points. As much as I know, Facebook posts via Mentions have comparatively high organic reach when compared with other normal posts. Organic reach here means the non-paid traffic. Although it depends on number of factors like timings, use of trending hashtags, type of post, user engagement and few other factors. 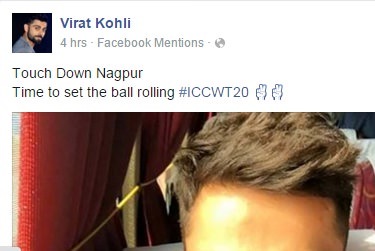 But what I have observed is that, Facebook Mentions posts are given first priority in news feed. Its my personal view, however reality can be totally different. What do you think about this? 2. Start a Q&A, Go Live! With Mentions app, you can easily start a Q&A series. For example, one of my favorite musical band, Yo! Yo! 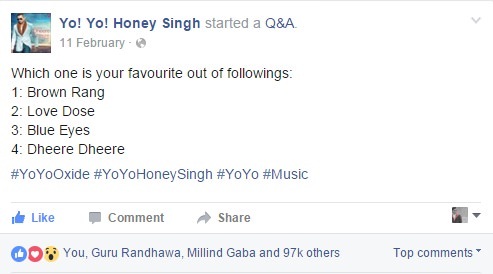 Honey Singh has posted an Q&A where he asked his fans for their best songs. See below screenshot of Q&A post. This feature is limited to verified accounts only. However, same feature is available in Facebook groups also but unfortunately not for normal users. Apart from this, you can make announcement and also share live videos with your followers. Recently, Yo! Yo! 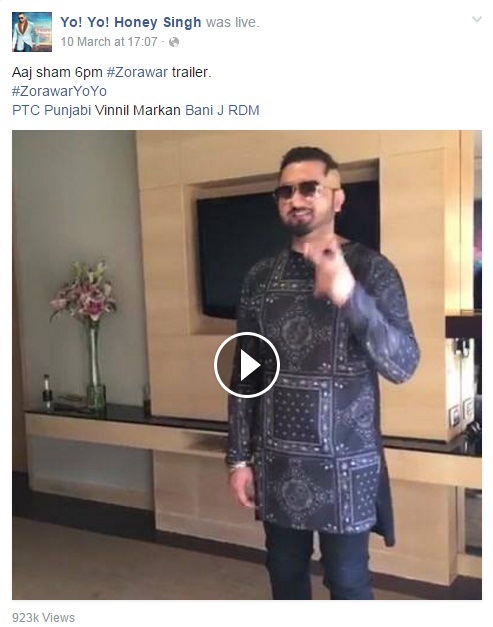 was live on his page and below is the screenshot of his video post. So basically, this app provides better way to be in touch with your fan followers. Not your, I mean for official persons. Haha.. Imagine how it would be share your updates on Facebook, Instagram and Twitter at the same time and that too from a single app. Sounds good? Huh. This will save your precious time. FB Mentions app can help you do this. You can easily connect your Instagram and Twitter account with your Facebook. After that, share your updates on all these social networking sites at once. With FB Mentions, you can easily find what other people are talking about you and the topics you're interested in. For this task, you can use hashtags (also know as Mentions for this app). You can check all trending stories under a single roof. Obviously, celebrities or other official persons also have some interested topics. For example, a Bollywood celebrity may like cricket person or a musical bands. To get all updates from these topics, they can follow any page/person of their interest. Mentions app can do this task. As an individual page, they can also like, comment and share anything with their fans. Now I just hope that you've complete knowledge about Facebook Mentions. If you've any questions, feel free to drop your views in below comment box. Should Facebook make all these features available to other users also? What do you think?